We are very sorry to announce that you cannot any longer apply for studying the BSc. ITCOM. The study programme closes down due to a decision in the university management. At itcom.aau.dk interested and existing students can read about the education. Read more here. Internet, cloud services, mobile communication, broadcasting and new media like Instagram, Snapchat, Twitter, Tumblr, Pinterest and Facebook are all areas of rapid development. In the 3 years of ITCOM you learn to understand technologies like these, see their business potential and design solutions for the next digital waves. The limits of ITCOM are set only by your limits. Every group/semester project is a new possibility to explore, innovate and learn together with your team and dive into solving real problems. What do you want to improve? Every semester, students of ITCOM develop group projects in teams of 4-8 students. These projects are explorations of real-world problems and challenges, because of the problem based learning principles of Aalborg University. How good are your programming skills? 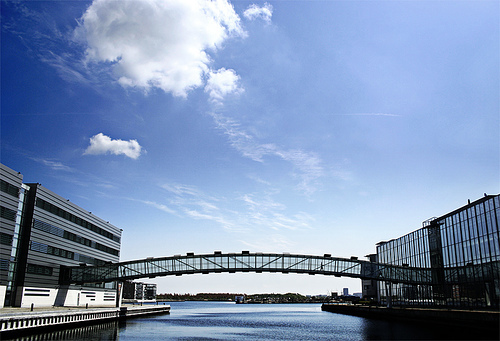 Aalborg University Copenhagen is located in the the southern part of Copenhagen called Sydhavnen. It takes five minutes with S-train from the city center / the central station to Sydhavnen Station.